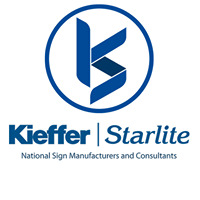 Kieffer | Starlite, a national sign company based in Denton, Texas, has announced that they will be attending the annual AAHOA convention later this month. The tradeshow convention is set to take place in San Diego, California on April 25 and 26, 2019. The company states that they will be attending the convention on April 25 and will be set up in booth 1543. “It’s an opportunity to show hotel owners what we can do to make them really stand out,” says Kelly. “Every year, we attend tradeshows that allow us to showcase our products and we work with companies to ensure that their specific needs for signage are met.” Kelly says that any business that is looking for signage can contact one of their locations to speak with a professional about their needs.